*If you are cleaning opals, pearls or other soft stones, do not add the alcohol. Also, do not use this solution for porous or non solid stones as any liquid may damage this type of stone. 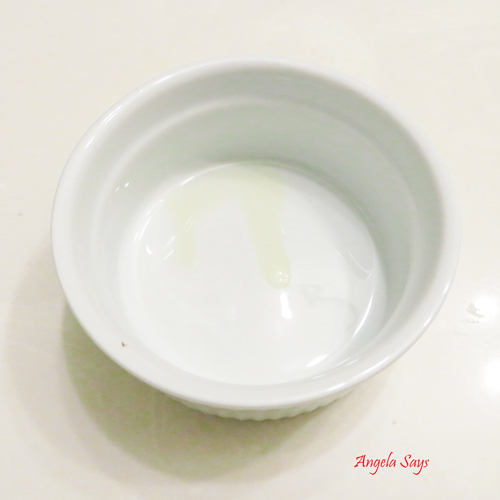 This diy cleaner works well for precious and semi precious stones like diamonds, rubies, topaz ect. 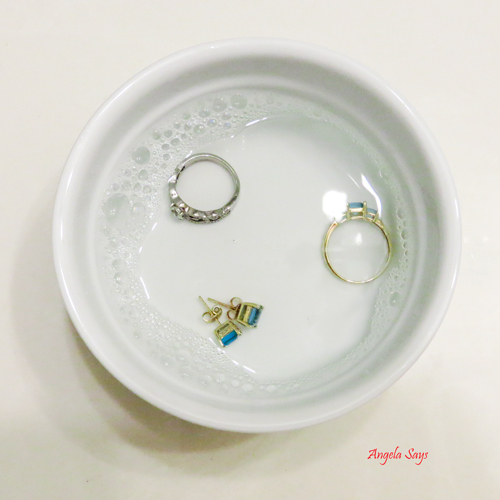 I cleaned my white gold diamond ring, a yellow gold topaz ring and earrings. 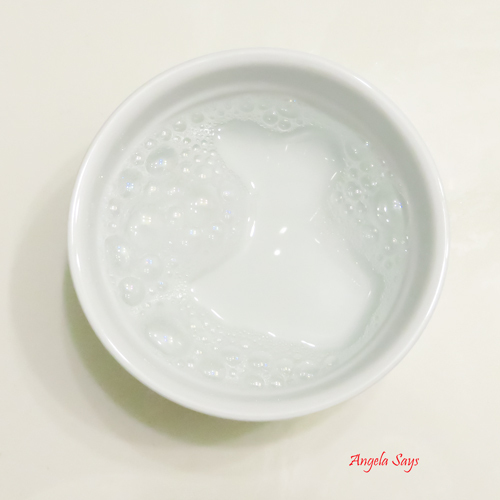 Add a few drops of mild soap to a bowl or container. Scrub the jewelry with a soft brush, I used an artists brush. A soft toothbrush will work well too. 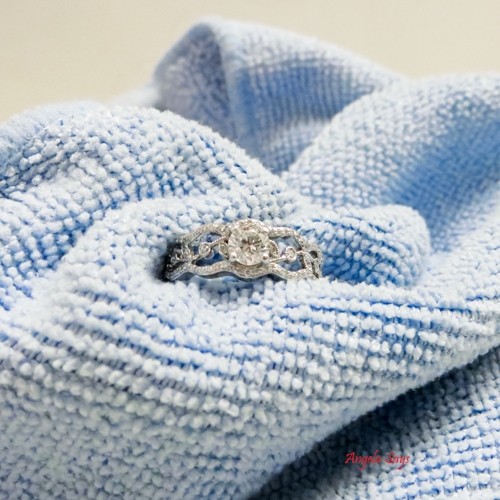 The warm water and soap help to get the gunk off of your ring and the rubbing alcohol is to help disinfect and polish the ring. Just to re-iterate, you can use this solution minus the alcohol to clean solid pearls and opals; use a slightly damp cloth if soaking them concerns you. 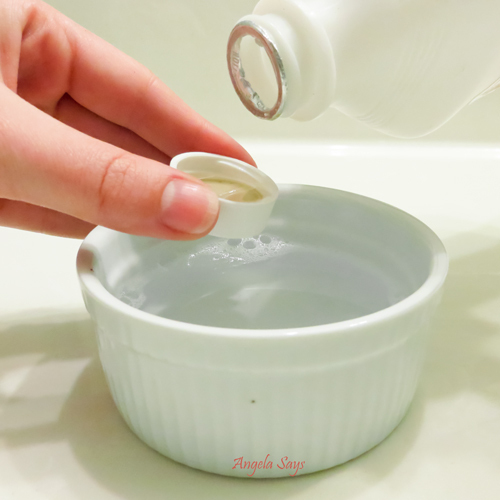 As compared to the jewelry cleaner from the jewelry store, this homemade solution works just as well but minus the cost. Take rings off while cooking, i.e. kneading dough, stuffing pasta. This well help prevent fine particles like flour from settling into the ring. Fine particles can loosen diamonds over time and may cause them to fall out. Take rings off when putting lotion on. The oils from the lotion will leave a layer of oil on the stones, dulling the shine and sparkle. Do not wear jewelry while applying hair products as they can adhere and attract dirt and dust to the ring. Take rings off while cleaning with chemicals, especially if you’ll be wearing tight gloves. Wearing rings with small diamonds like mine loose diamonds more easily than large diamonds as the prongs wear and bend easier. I had just replaced one of the small diamonds in my ring when I went on a cleaning spree. I did not remove my ring and when I finished cleaning, I noticed that another diamond had fallen out. Boo. I’m pretty sure it was the excess baking soda that made it fall out. Leave rings on while washing your hands. Think of this as mini ring cleaning sessions. Just be sure to rinse and dry thoroughly. 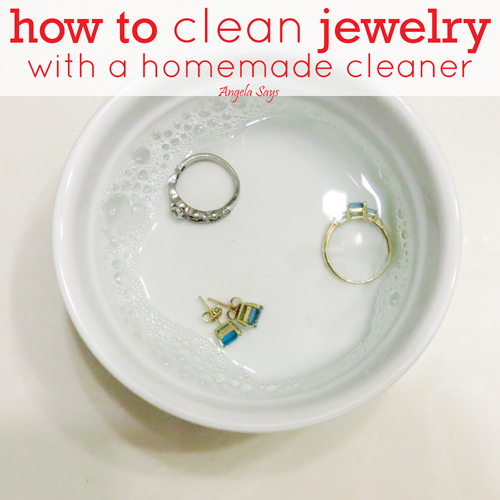 How often do you clean your jewelry? I loved cleaning my wedding ring with this cleaner and seeing it sparkle. 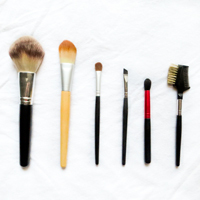 If you can, make sure to use a soft brush to really get into the little nooks and crannies for optimum sparkly results. Thanks so much for visiting! Do NOT use denatured alcohol – it WILL damage your rings…so my mother found out working in dental office with that alcohol…I don’t know about rubbing alcohol so will take your word at that. Great tip! I’ve been needing to clean my wedding ring and this will work perfectly! Thanks! 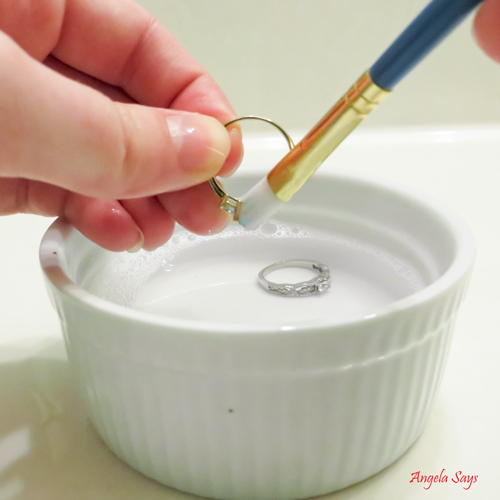 You’ll be amazed at how sparkly this solution will make your ring. Oh, this is great! I love anything homemade and I too, love keeping my rings super sparkly! Thanks for sharing this, I can’t wait to try it. Thank you for linking up to Thrifty Thursday. Thanks Ruth! I have loved coming and reading your Less and More series. I’m assuming this is a one shot recipe. Do you know how well it would hold up to store it, as the stores do? (Thinking of doing these, along with some other homemade things for Christmas presents.) Thanks. It should hold up just fine since it’s soap, water and rubbing alcohol. You could store it in a little container with a lid and use it just like the store bought cleaner. Thanks Hani! I think it also gives extra shine. I just got some jewelry from my grandmother, but it needs some cleaning work. I like how you made instructions and steps on how to clean the jewelry. I’ll remember your tip about taking of rings while cleaning with the chemicals so that they don’t get damaged. I have been coming to your blog for awhile now… I find you ideas brilliant. Thanks! I have been coming to your work for a long time now… I find you ideas refreshing. A loyal fan. I have been following your website for a very long time now… I find you ideas a breath of fresh air. Keep it up!